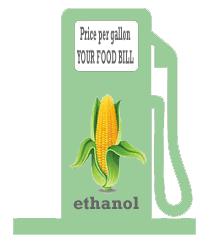 At issue is the corn-based biofuel; ethanol, which the state legislature is taking a strong stand against. Citing potential engine and environmental damages, Maine's state legislature has taken another step to rid itself of ethanol blends into its gasoline inventory. Legislators have approved a bill by more than a 3-to-1 margin that would ban ethanol blends in Maine – as long as two other nearby states do the same, the Bangor Daily News reports. Maine legislators also supported a resolution urging the government to ban gasoline with a 15% ethanol blend (known as E15), altogether. Most gasoline in the US contains up to a 10% ethanol blend. Maine regulators started talking about a statewide E15 ban early this year. The state said at the time that at least two other New England states would have to go along so that Maine refiners wouldn't have to make a custom blend for the state only, which would cause the state's fuel prices to jump. Last June, the US Environmental Protection Agency (EPA) officially allowed for public sales of E15 as part of an effort to that claimed to cut foreign oil dependency. Groups such as AAA have since been critical of the EPA's decision, citing studies that indicate that E15 causes engine damage as well as food shortages.